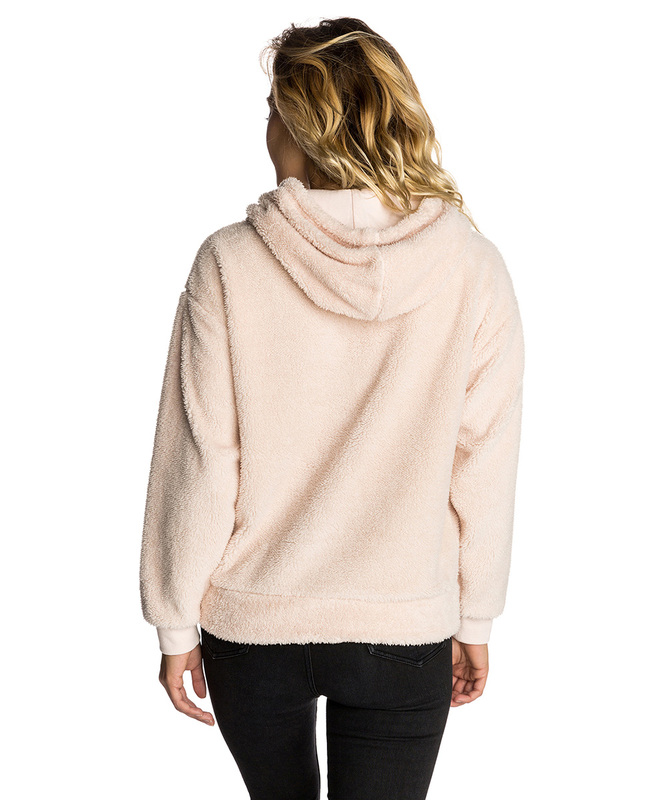 Slightly cropped hooded pull over style made from teddy bear fleece. 3/4 front zip. Once you put this on you will never want to take it off!